Paul Rudy is Associate Professor and Coordinator of Composition, and Director of the Inter-media/Music Production and Computer Technology Center at the Conservatory of Music, University of Missouri, KC. From 1995–2001 he was the composition technologist at the Aspen Music Festival and School and has created over 80 a radio programs for public radio (Aspen, Colorado and Resonance FM, London, England). 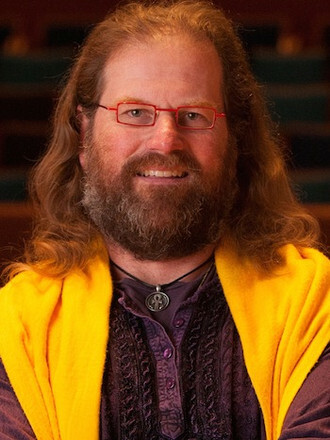 He is the 2002 winner of the EMS Electroacoustic Music Prize (Stockholm, Sweden) along with other recognition from the Bourges Electroacoustic Music Competition (2000 & 2005), the Fulbright Foundation, Meet the Composer, the National Music Teachers Association, and the Missouri Music Teachers Association. Commissions include Meet the Composer USA, the American Composer’s Forum Jerome Composer Commissioning Project, 8th Blackbird and Third Practice, Music From China, New York New Music Ensemble, Kansas City Chorale, newEar, the Nelson-Atkins Museum of Art and the UMKC Conservatory.